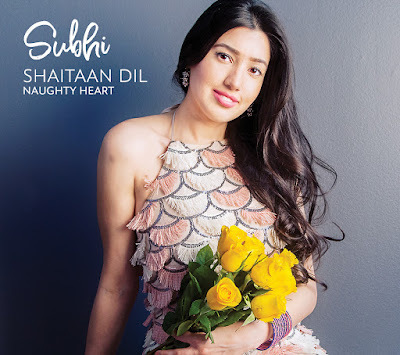 Indian-American singer-songwriter Subhi, now based in Chicago, released her debut album of original Hindi/Pop/Jazz songs, Shaitaan Dil (Naughty Heart), in September, 2017. Working with Chicago musicians Joaquin Garcia (Piano), Rajiv Halim (Saxophone), Ivan Taylor (Double Bass) and Gustavo Cortinas (Drums), her album has influences of Chicago jazz and Hindi and Urdu poetry as her songs chronicle romance, the torment of separation and transcontinental migration. She began her career as a music assistant on the Broadway production of Monsoon Wedding and went on to work as a songwriter, lyricist and vocalist. In 2016, she performed at the Eye On India Festival in Chicago and her songs have been featured on NPR (WBEZ), WLUW 88.7 FM (Radio One Chicago), WGN TV and Music from around the World on WHPK 88.5 FM, and in 2017, she appeared at New York’s Art Cafe as part of the Brooklyn Raga Massive Series. Although she is just at the beginning of her musical journey, Stay Thirsty Magazine is excited to name her A STAY THIRSTY DISCOVERY for Fall 2017 because of her easy style and magnetic voice. 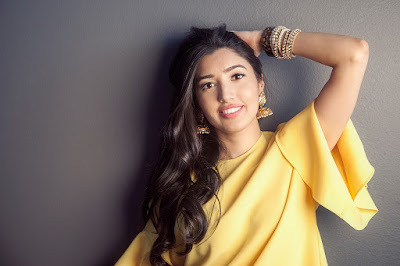 We expect big things from her in the future as she links her native Hindi culture to the intricacies of the Chicago jazz tradition.